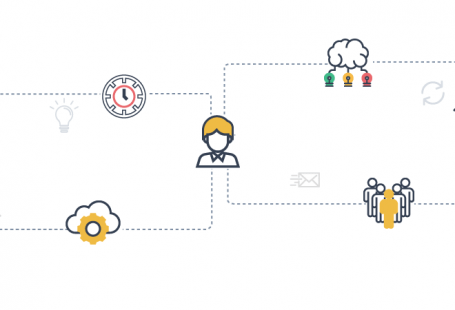 A Customer Success Manager or CSM has a rapidly expanding role in any SaaS company today. 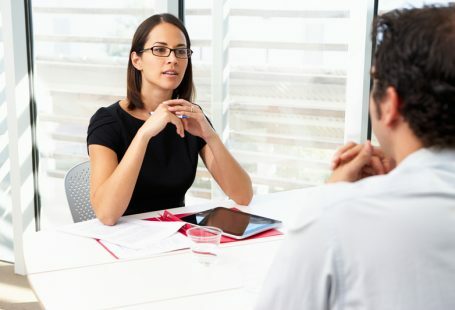 The customer success manager role started on a simple promise of transforming customer engagement from a traditional ‘reactive’ to a ‘proactive’ mindset. Today the roles have expanded. They have taken over many new responsibilities and proudly form one of the main pillars of ‘growth’ within a SaaS organisation. 1) Customer Onboarding: New customer onboarding is the most important task for any customer success manager. But, CSMs make several mistakes which cost the company heavily in the future. For example, you do not need to teach all the features of your product to the customers. You need to teach only those features that help the customer achieve early value. For best results, customers must be taken through the shortest path to value so that they can get some ROI (Return on Investment) as soon as possible. This will help them realise the importance of your product. It’s well proven time and again that the seeds of churn or growth are sown early. Hence, it is important that the CSM designs a well thought out customer onboarding framework that makes the lives of the customers easy. 2) Account Escalations: Support or response to any alerts, red flags, poor health. It can also be directly from a customer reaching out for some issue or any critical or overdue customer support ticket. This ensures that you control the fire when it is small and manageable. Also the customer feels that you are always there to help him/her when required and helps to build a relationship. This is helpful during renewal time when you can upsell to the customers as you will guide them to achieve the necessary goals. 3) Renewals: Customer renewals are what keep the recurring revenue recurring. It is the lifeline of a SaaS company since majority of the revenue comes through existing customers. Hence, it is necessary to follow up on current month / quarter renewals to avoid any last minute surprise. Especially, when long term contracts are due for renewal. Larger the value and/or duration of the contract, more the effort required. Sometimes it even requires fresh paperwork. 4) Upsell Campaigns: Upsell, expansion and upgrades are the three core ways in which CSMs can drive their portfolio growth. It is also the best way to increase the lifetime value (LTV) value of your customer. If you have guided your customers throughout their journey and helped them solve the problems, this process will be much easier. A focused campaign or a planned nurturing campaign requires good timing, data and strategy to be effective. 5) Periodic health checks: Success managers cannot leave even the healthiest, happiest or oldest customers to chance. Calculating periodic health of (at least) key accounts is an important activity to maintaining that ever increasing mix. It will aid the CSM to take effective steps in case some customers are unhappy with the product or for some other reason. 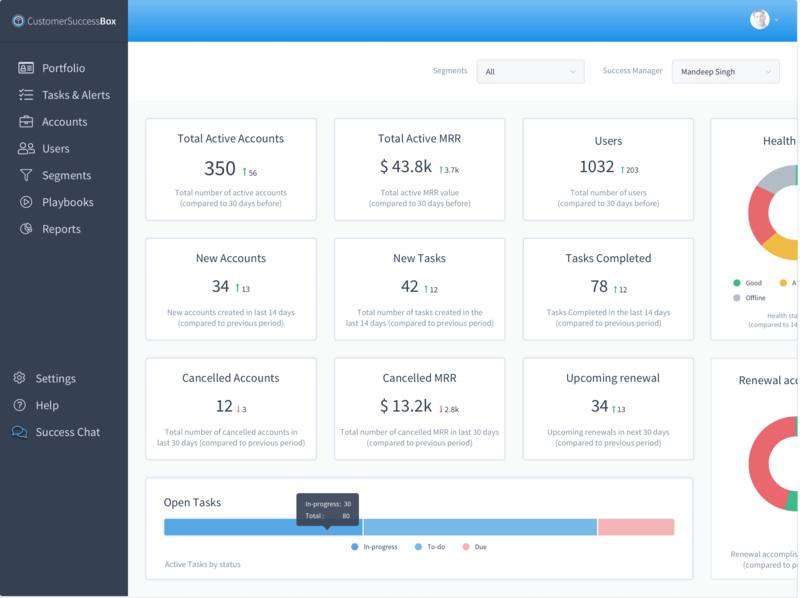 Since it is quite difficult to figure out the exact condition of all customers in real time, it is recommended to use a customer success platform which will help you in monitoring account health and improve your efficiency by a mile. 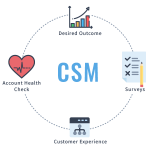 6) Customer Advocacy: Given that customer success managers are the customer relationship owners, it makes sense for CSMs to convert that relationship and value into real advocacy. It could come in the form of an internal NPS survey, external reviews, a case study, or the good old referral. Referrals lead to huge financial growth without putting in much effort. A successful relationship leads to financial growth in ways you may not have imagined. It’s clear that the Customer Success Manager role is going to be one of the most critical roles in any SaaS organization in the days to come, with a certain executive seat. A CSM should measure few KPIs (Key Performance Indicators), so that s/he can be sure that the company is moving in the right direction at the right speed. KPIs that need to be measured for each company may be different from others so it is critical to choose the right ones. A good CSM along with a focused team can totally change the path of the company. A good customer success team literally is responsible for making or breaking the company. 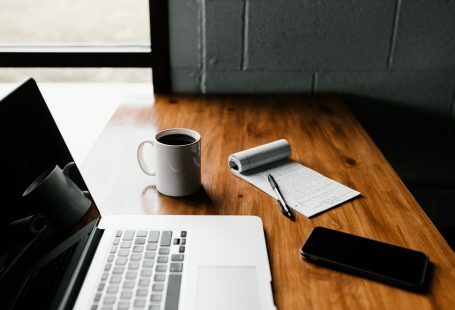 It is also important to give the CSM powers so that s/he can make independent decisions without feeling unnecessary pressure This will lead to the CSM taking decisions keeping the company in mind since s/he is bringing in the majority of the monthly recurring revenue (MRR).